Blue Cherry Financial Training is totally committed to helping its customers to achieve success in the CeMAP®, CeFA® and DipFA® qualifications within the shortest practical time. 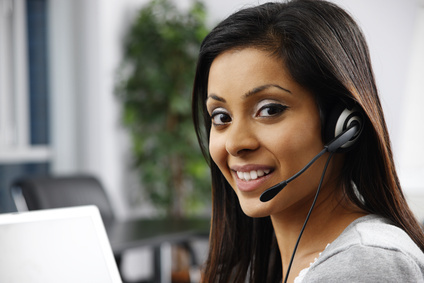 We pride ourselves on our levels of experience, knowledge and customer support. If you have any feedback, comments or suggestions concerning our website or our business, please tell us via our CONTACT US form. 1. 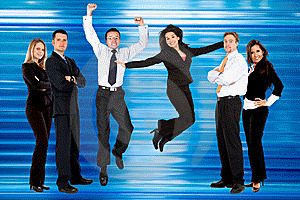 Blue Cherry Training Consultants (hereinafter referred to as "Blue Cherry"), its employees, contractors and agents have exercised considerable care in the design, production and presentation of this Web site (hereinafter referred to as "the Web site") and in the inclusion and provision of the information on it. Since some of the information is derived from other sources, Blue Cherry can make no representation or warranty as to the accuracy or completeness of such information, and hereby excludes and disclaims all terms, conditions and warranties, whether express or implied, whether statutory or otherwise, whether collateral or otherwise, as to the accuracy or completeness of such information. 2. In particular, the Web site may contain occasional errors or inaccuracies. Blue Cherry endeavours, however, to ensure that such deficiencies are minimised and your feedback would be welcomed should you identify any such inaccuracies. 3. Blue Cherry unconditionally reserves the right to alter its prices at any time before receiving payment for the services it provides, although any price agreed in writing, including by e-mail, will be honoured for 10 days after such written confirmation is communicated. In any event, such price alterations will always appear on the Web site and on the company's literature in the first instance. 4. Cancellation & Refund Policy. We are all aware, of course, that life sometimes interferes with our plans and, consequently, it is sometimes necessary to reschedule or cancel an appointment that had previously been made in good faith. This section explains how we deal with such events. When Blue Cherry receives payment from a specific training course's first delegate, we immediately make payment to the training venue to book the tutor's accommodation and the training room. By booking our venues in advance, we can benefit from 'early booking' discounts. In turn, we are then pleased to offer 'early booking' discounts to our course delegates. Since Blue Cherry would suffer varying degrees of financial loss were it to cancel bookings made with our training venues, prudent business principles require appropriate and fair penalties to be applied when our delegates cancel places on our courses. 4.1 Where Blue Cherry cancels a training course or an individual's place on a training course, a full refund will be made to the delegate in question. 4.3 Where a delegate cancels a pre-paid course that has previously been rescheduled by the delegate, the refund is calculated as above and the qualifying amount is calculated according to the shortest notice period received since the course was first booked by the delegate. 4.4 Where a delegate needs to reschedule a pre-paid course but never requests a refund, there is no penalty incurred and no further payment is required. 5. No liability whatsoever shall attach to Blue Cherry for any loss or damage, including any consequential loss or damage, arising from the inclusion or provision of any information, data or material contained in the Web site, or the use thereof, or in any way arising in connection with the Web site. 6. Without prejudice to any of the foregoing clauses, no liability shall attach to Blue Cherry for any information or material placed on or linked to the Web site by any party without prior written authorisation from Blue Cherry. 7. All intellectual property rights owned by Blue Cherry relating to the content on this Web site are protected and remain the sole property of Blue Cherry. 8. In all your dealings with Blue Cherry, its employees, contractors and agents, including though not limited to all communication effected through this Web site, you agree not to impersonate any other person or entity, or to use a false name or a name that you are not authorised to use. 9. Blue Cherry reserves the right to decline an application for its services, regardless of the method of making such an application, without giving a reason. In Google Chrome - Press CTRL-D. In AOL - click the small red heart at the top of this page. If you would like to express your interest in CeMAP® training or CeFA® training, please click CONTACT US. If you would like to consider our CeMAP® distance learning (home study) option, please click CeMAP ONLINE. If you would like to see our course dates and prices, please click to view our COURSE PRICES.